This is the most commonly asked question these days as RHCE 6 exams have just started (March 2011). If you compare the syllabus of RHCE 5 and RHCE 6, you will notice that there are around 20% changes. New important topics have been added in RHCE 6. These topics include ISCSI Server, LDAP Client configuration (LDAP Server is not included), EXT 4 file system, RPM Building, KVM Virtualization etc. There is less focus on commands and GUI is heavely pushed. Why? We don't know. In the industry still 95% of System Administrators are using command line interface like putty. The exam can be solved using GUI or commands. One main difference is that the examination will be conducted on a virtual machine. If you religiously solve all exercises from the RHCE 6 books you will certainly pass the exam with flying colors. An authorized RHCE course done from a Red Hat Partner will put you on the right track for the certification. 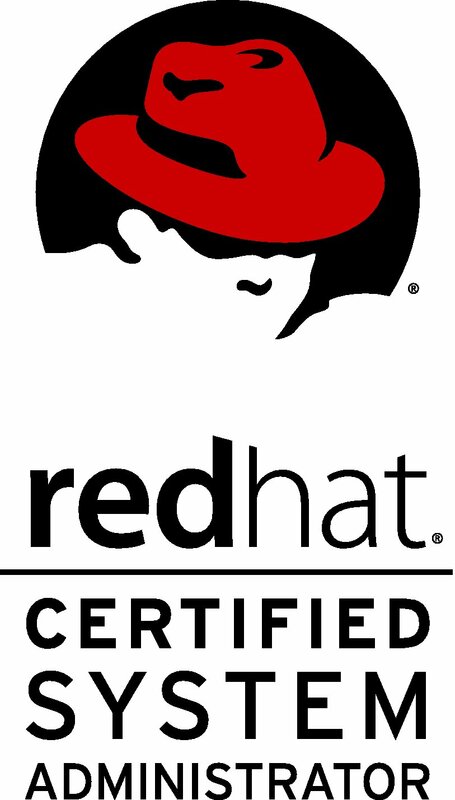 The authorized course material provided by Red Hat partners will give you an exact path to be on. Three work-books provide most relevant questions and practice exercises that will prepare you for the exam. In my experience, if you concentrate on understanding the topics mentioned in these work-books, it will be more than enough for you to get certified. Yes you can. In fact, we recommend that you appear for RHCSA exam first, clear it and then appear for the RHCE exam in the next 15 days or so. Taking both the RHCSA and RHCE exams on the same day in very grueling and demanding. And if you fail the RHCSA exam, you are not allowed to appear for the RHCE exam on the same. Your entire fee will be wasted. 5. What is the duration of the RHCE course. It depends on the Red Hat Partner who is teaching the course. The standard time-line from Red Hat Corporation is 120 hours/3 weeks. But in our experience we have found it difficult to finish the course in just 3 weeks as it tries to cram many topics in a short duration. At the end of such a fast-track course the mind gets saturated with many new facts and therefore the retention is very less. At Focus Training Services the standard course timeline is 2 months. As mentioned earlier you can appear for the RHCSA and RHCE exams on the same day. But we do not recommend that. If you do appear for both the exams on the same day, the exam fee for both exams is Rs. 14000/-. If you appear for RHCSA and RHCE exams on different days, the exam fee is Rs 8000/- for each exam. Thus you will have to shell out Rs. 16000/- to become RHCE certified. Yes. But not recommended. Besides, you will not get the RHCE certification from Red hat until you pass both RHCSA and RHCE exams. No. But in our experience, if you know a buddy who has appeared for the exam previously, he/she can give you a fair idea about the exam pattern. We recommend that you should not fully rely on his/her recommendation as Red Hat changes the exam pattern from time to time. The only sure thing about the Red Exams is that they are hands-on exams where you will be given a machine to solve the scenario based questions. There will not be an online exam with objective questions. When you appear for the exam at any exam center, you will be asked to fill up the paper work. The instructor at the exam center is an employee of Red Hat who usually comes to the exam center ahead of time to perform the necessary server setup for the exam. Once the exam set-up is done the exam starts. You will be assigned a machine and asked to fill up the necessary information like your name, email address etc. Do not make a mistake while typing your email address. You exam results are emaild to this email address. Once you finish providing your personal information, the exam starts. You need to follow in instructions provided in the exam paper on your desktop. It is kind of an open book exam as all the man pages are available to you. So if you forget any syntax you can find it out. But our experience has shown that students do not have too much of a time to browse through man pages. You can leave the exam hall once you are finished. The exam results will be email-ed to you in a day. There is no negative marking. It does not matter how you solve the question, either thouth GUI or through commands, it is important that you solve it. We have notices there are no partial marks given for half working answers. For example if the question says you should configure the firewall and open port no. 21. And you have configured the firewall but forgot to open the port 21 or open the wrong port, you will not get partion marks. Exam results are declared usually on the same night. Your result - your score and grade(pass/fail) is emailed to you on the email id that you entered before the exam. In some rare situations and incase of holidays and weekends it may take 2-3 days to get the result in the email. You need a photo identification. Either a PAN card, passport or a driver's license will do. You also need to bring 3 forms from the back of your 3 student work-books. There is only one important rule that everyone needs to observe. No talking, looking, signaling or peeping into another fellows computer. if the exam instructor even slightly suspects that you are not properly behaving in the exam, he will immediately remove you out of the exam hall. He reserves the right to not allow you to appear for future exams. Even though this is not a common thing at our center, I have seen this happening with one or two students in a a span of 3-4 months. Both, a person who is cheating and helping another person cheat with answers, are guilty. Your exam fee will not be refunded in such a case. If you want to appear for the RHCE exam, just fill up this form and we will contact you.